Some days when you're out on the trail everything just fLows easily and each new view is more breathtaking than the last. Meanwhile, the Womens Scenic Trail Jacket is ready and waiting in your pack. This super light and packable shell jacket is a great piece of kit to have with you when it suddenly starts to rain. It is made of a soft, lightweight recycled fabric that is 100% waterproof and windproof and extremely breathable. 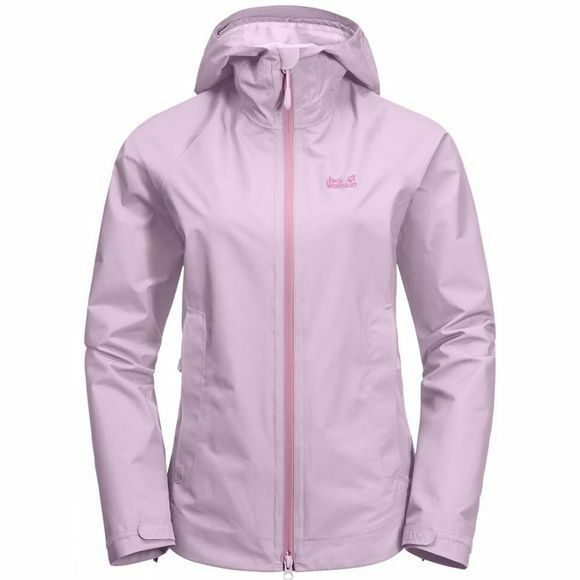 The Womens Scenic Trail Jacket is the ideal jacket for energetic outdoor activities in milder weather. And it also makes a great everyday jacket.